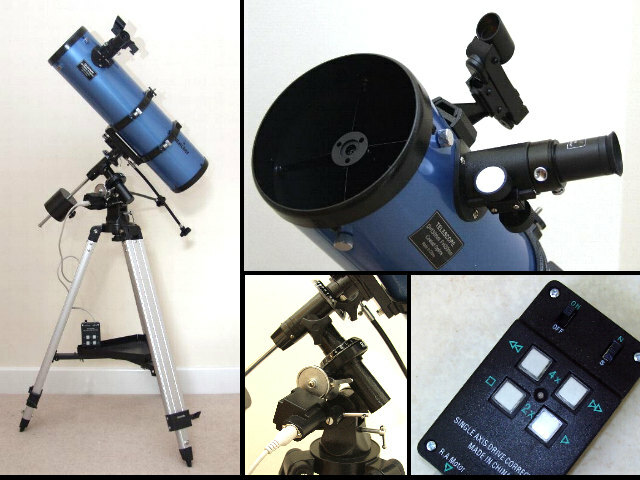 As someone taking up the hobby again after an absence of about 20 years I thought a review of a beginners telescope from another beginner might help other tyro astronomers in choosing their first telescope purchase. Now the first thing any would be astronomer gets to hear from people who have been there and done it is that its best to start with a pair of binoculars. While that is undoubtedly good practical advice it misses one very important piece of psychology. If we only bought what we NEED as opposed to what we WANT there would be no market for Ferrari. The fact is that buying anything is always as much about emotion as it is about logic. So if you feel a telescope is what you want - then go for it but be sensible and spend what you can afford. Ideally second-hand is best because astronomy equipment sells very cheaply second hand and very often in as new condition. I did some reading about what to buy and what would fit in the budget. My maximum budget was about £200-£300 but I knew on top of the scope I'd need new star catalogues, almanacs, planispheres, compasses, torches etc. In reality I could spend a lot more but I decided to be sensible and limit the spending in case I got bored with the hobby quickly. So, I bought some magazines and looked at sites on the web and started reading furiously and tried to come to a decision about what to buy. I have to say I found a lot of it very confusing because so often on web boards a tyro asks the eternal question "what should I buy ?" and everyone pipes up with their suggestions some of which are unrealistic and unhelpful. It doesn't help a newbie with £300 to spend to be told that they should really find £1,800 for a HOT new super scope or to engage a newbie in abstract discussions about wavelengths of light !!! In fairness its hard to know what to advise a beginner because good advice rests on the beginner knowing what they want to do and my experience is very few of us do - at least we think we do but its seldom what we end up doing. For me I kind of imagined I'd want to do astro-photography. Years ago when I started in astronomy as a slip of a girl astro-photography was complex and expensive. Heres the news - it still is ! Prices have come down a lot and digital technology has made it somewhat more open but its still an expensive hobby. I am going to buck a trend here - my advice to other beginners is as far as astro-photography goes forget it unless you have a lot of spare time and deep pockets. Its a science in itself and it has the possibilities in it of completely putting you off the hobby altogether. In the intervening 20 years telescopes have changed somewhat and I found my previous knowledge was of little use. Prices have fallen dramatically for most equipment and telescopes that would have been the preserve of only the most serious of amateurs years ago are now readily available at relatively bargain prices and at qualities undreamed of outside professional observatories 20 years ago. Anyway, I pottered about reading all sorts of reviews and in the end decided I had no hope of coming to any seriously informed judgement there was too much information and too many conflicting viewpoints; Some people said reflectors don't work well in urban environments, some said that's rubbish and so on. Astronomy is a broad church and opinions on telescope types ( refractor, reflector or SCT ) often lead to something akin to religious wars among their adherents. I found some good advice on-line which was 'if your spending more than an hour a day reading telescope reviews your doing it wrong - make a decision and accept it might be the wrong one' I thought that was fair advice and decided to jump in and buy something as a learning experience and hope that from that initial purchase I'd at least find out what was good and what I really wanted to do and maybe prevent a bad 2nd purchase later on. This turned out to be, for me at least, seriously good advice. Sky at Night magazine and a few other magazines suggested the Sky-Watcher brand was solid enough and Astronomy Now magazine posted a good review of the Sky-Watcher 130PM which seemed a good bet for the money I wanted to spend and it seemed to a relative newbie like myself to offer a reasonable mix of features. I wasn't sure if I would want something geared for planetary observing or for Deep Sky Objects ( DSOs ) and I decided to go with the Sky-Watcher as it seemed to offer a reasonable compromise and enough features to provide sufficient capability and depth to learn with. Pictured: Sky-Watcher 130PM on its mount and tripod, close up of the Sky-Watcher front end showing its thin secondary mirror supports, the focuser and red dot finder, close up of the EQ2 mount and the hand controller. I ordered the Sky-Watcher 130PM up from Telescope Planet in Swansea and waited with a fair mix of excitement and trepidation for the new toy to arrive. Would it be any good ? Would I be able to cope with it ? What would I see ? The telescope arrived quite fast (4 days but I ordered on a Saturday night ) in a large cardboard box, very well packed and surprisingly ( and reassuringly ) heavy ). The delivery man looked like a candidate for a coronary infarction having carried it up 6 flights of stairs to my flat. After I had hopped and skipped about with excitement for a few minutes ( alright it was half an hour ). I got the telescope out of its many layers of packing and started assembling it. I found it relatively straightforward to put together and the instructions were pretty clear. Certainly better than most flat-pack furniture. The motor drive fitting was a bit confusing but after a few goes I managed to work it out. I suppose working at a slow pace it probably took about 2-3 hours for me to get it all unpacked and assembled as I was reading every instruction very carefully and taking my time and reading and re-reading everything. The telescope came with a small pack of tools to aid in assembly which was rather welcome and a nice touch I thought - the tool pack has a screwdriver, two spanners and an Allen key. Batteries for the motor weren't supplied. The EQ2 mount and stand were actually far more chunky than they appear in the advertisement pictures for the telescope. I had been a little bit worried that from the pictures I saw the stand looked a bit spindly and I knew from past experience that the strongest stand available is only ever just about barely good enough. The EQ2 is fine for carrying the 130PM. My Overall initial impression with the telescope and mount was that it was well worth the £155 I paid. The build quality was fine, the instructions relatively clear and it looked rather fetching in its pale blue livery with its hammerite black fittings and mount. The motorised RA drive was a bit plasticky and I was rather surprised there was no AC adapter or batteries to get you started but all in the garden cant be rosy I suppose. When the whole thing was assembled I was surprised at how much larger it was than I had imagined. My previous telescope of 20 years ago seemed much smaller and almost like a toy compared to the Sky-Watcher 130PM on its EQ2 mount. After standing back and admiring the assembled product I lined up the red dot finder to the telescope and found a small niggle. The finder wouldn't stay locked onto target - The problem was the fitting on the scope which holds the finder mounting was a tiny bit loose. A pair of pliers and a screwdriver soon tightened up the fitting ( tip here - have the scope pointing down if you stick stuff down the barrel - that way if you drop anything it will fall on the floor rather than into the main mirror ). A quick tightening up of the screws made the finder much more secure. I had a few problems getting my eyes to use the red dot sight until someone told me the trick is to keep BOTH eyes open. After that it was easy enough to target and stayed well tracked to the telescope, something my earlier telescopes finder would NEVER do. The red dot finder is easy to use I found and quite straightforward once you get the hang of it. 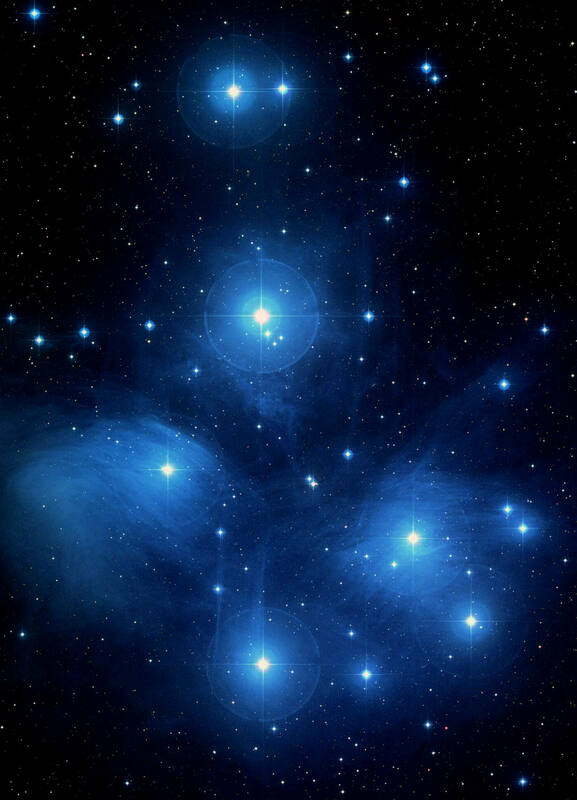 More expert astronomers say that the brightness of the finder tends to make it hard to find dim objects. I don't disagree but for a beginner a finder scope can seem quite difficult whereas a simple red dot finder is very much simpler to deal with and very intuitive. Pictured: Sky-Watcher 130PM on its mount and tripod, its a classy looking piece of equipment. The supplied eyepieces and Barlow. The motor drive for the Sky-Watcher 130PM operates for the RA axis only. This was fine for me and a welcome feature. The motor allows the telescope to track objects across the sky after the mount/telescope have been polar aligned. Polar aligning a telescope like this is a simple affair for observing. Simply orientate the mount to North and locate Polaris, centre the telescopes view on Polaris and your done. Its not hugely accurate but easily good enough for observing I found. Once aligned I found the motor would track most objects pretty reliably with only the odd correction using the handset required. The hand controller has buttons and switches to control the direction of the motor and the motor can run at up to x4 sidereal time ( sidereal time is the planets motion ). Even at x4 the speed of the mount is quite slow but then the motor isn't designed to find things with, only as a tracking aid once you have found the object you want by guiding the scope manually. The EQ2 mount is stable enough with the Sky-Watcher 130PM on top although there is a noticeable wobble when focusing. This is fairly typical of all but the more expensive telescopes and mounts. The focuser body is plastic with a basic rack and pinion focuser but perfectly adequate for the telescope. Focusing is quite smooth and precise. The tripod is best used at its lowest setting ( as shown in the pictures ) which gives the telescope the maximum stability. The tripod itself is light-weight aluminium but perfectly able to take the weight of the telescope and mount. The telescope is supplied with a Barlow ( it doubles up the magnification ) and two eyepieces. A wide angle 25mm and a 10mm. The eyepieces look a bit basic but work perfectly well. Something most beginners don't realise is how significant the eyepieces are to a telescope. The ones supplied with the Sky-Watcher 130PM are perfectly good enough to start with but I was advised to get better quality eyepieces as soon as possible. See the article below on the Celestron Eyeopener kit. The manual was pretty clear and included a beginners guide to things you will need to know such as polar alignment and collimation. The first nights viewing was pretty satisfactory for a quick peek and to familiarise myself with the idea of the equatorial mount. My only other scope was a simpler affair with an alt-azimuth mount and at first I wondered if I'd find the equatorial system too complicated. In fact I found it easy to get the hang of once I had sorted out in my mind how it works. The instructions with the scope explained much of it and it wasn't too hard to understand after reading through a few times and playing about with the mount. The manual has a good clear description of how an equatorial mount works and its rationale and I found it pretty easy to get to grips with. 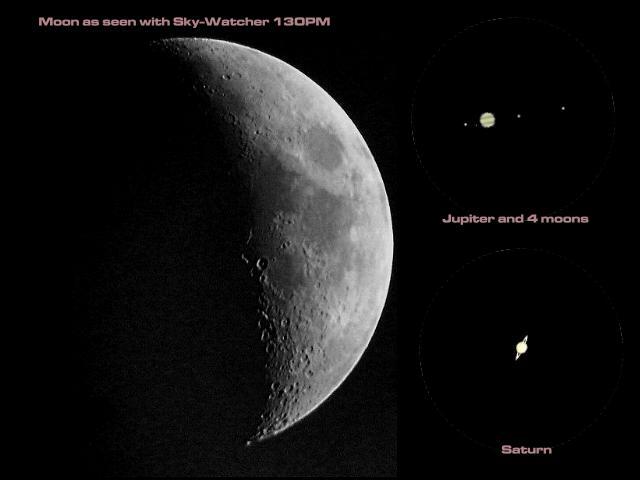 Since the Sky-Watcher 130PM arrived I have spent every fair weather night observing and have seen some amazing planetary views. To give you an idea of what you'll see with the 130PM I have included one picture and two sketches I made - these should give you fair idea of what you'll see. The moon picture was taken at very low magnification to give the camera a good target to focus on. The picture was taken with a cheap digital camera held up to the eyepiece. First sight of Saturn with the 130PM was amazing and under better viewing conditions would have been better still. I have yet to find any good DSO objects with the telescope but that's mostly due to bad light pollution where I live and as yet I have not taken the 130PM out under a truly dark sky. The sketches of Saturn and Jupiter below are shown almost actual size as seen through the eyepiece. These are shown at lower powers of magnification than is theoretically possible due to bad seeing conditions but should give you a good indication of what you can see. It might seem I have been unhappy with my comments about the plasticky motor, the wobbly viewfinder and the eyepieces. Far from it - I think I made absolutely the right choice. These are really minor niggles and the build quality is overall extremely good and for £155 not much less than miraculous. For a starter scope for someone new to the hobby on a budget and to learn with I think the package is hard to beat. Lets face it £155 is cheap for a whole new experience and some views you will probably never forget. So what about astrophotography with the 130PM ? Thats not a negative on the 130PM which is a very capable small scope but astro-photography is VERY demanding. With that said people used to take decent pictures with smaller less well equipped scopes 20 years ago. It depends on your patience and ingenuity I guess. I assumed when I started there would be all kinds of issues with astro-photography and I was right. I decided quite quickly that to produce serious quality pictures would be beyond me and resolved to just enjoy myself observing and not try to run before I could walk. Someone told me early on that two factors contribute the most to beginners getting depressed and leaving the hobby. The first is cheap low quality telescopes ( the Sky Watcher 130PM is inexpensive but good quality and will give you good views of our universe on a budget ), the second is astro-photography ! What else did I consider ? Well I thought about a scope with GoTo mount like one of the low cost Celestrons BUT I felt I wanted to learn as much as I can about it all and an automatic scope by its nature would make me more of a tourist than a traveller. I wanted to learn the basics for now and I felt a more manually orientated scope would be a better enabler of that goal than something with automation which may easily become a toy with no challenge or reward. Totally brilliant. A whole new universe to explore for £155 is cheap by any standards. 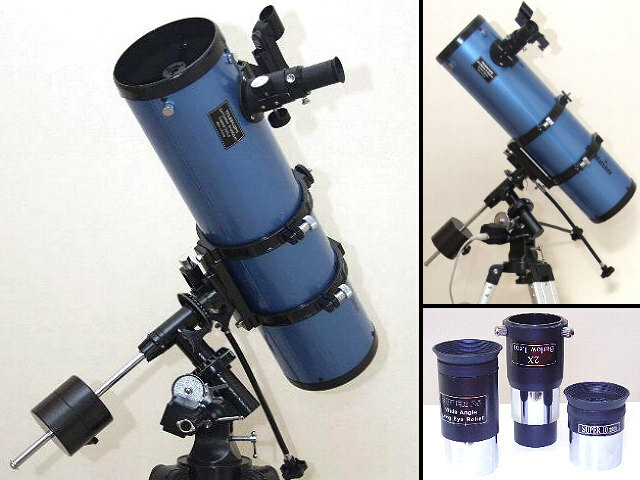 This telescope will give you decent views of planets and good wide field views of stars out of the box. Build quality is fine and its a beautiful small scope well suited to beginners and those on a tight budget. I was advised by other more experienced astronomers to get some better eyepieces for the scope which I had budgeted for and bought a box of Celestron eyepieces called an 'Eyeopener Kit' with some filters and a Barlow from a local store for £139 ( These took me a bit over my initial budget of £300 as I had already bought a compass and a red light torch plus a new planisphere ). The Celestron eyepiece set provided a better Barlow than the one that came with the Sky-Watcher plus a really lovely 32mm eyepiece which is my favorite. The Celestron eyepieces seem better quality than the ones supplied although the Sky-Watcher supplied ones are certainly acceptable. 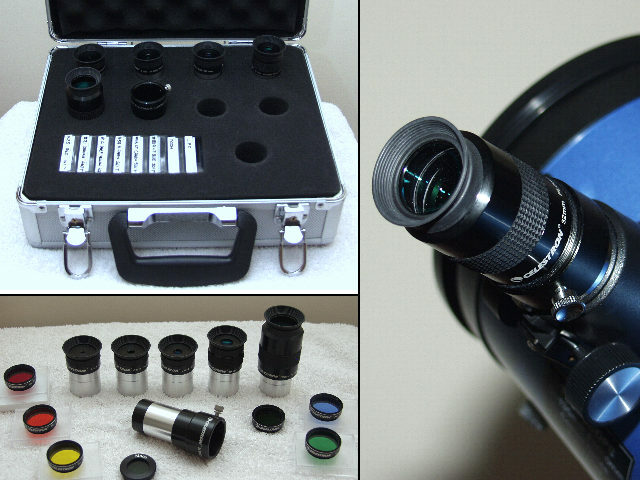 I wont go into all the sprcifications of eyepieces as these kits are very easy to locate on the web. Suffice to say it contains 5 eyepieces ranging from 4mm to 32mm and 6 coloured filters plus a moon filter. The Celestron set are slick and professional looking in their aluminium flight case and the overall quality is excellent. I am not qualified to comment on their optical properties from a scientific viewpoint but the view through them is pretty good - at least to my eyes. Pictured: Celestron EP kit in its flight case, the Eyeopener kit contents and the 32mm Eyepiece (my favourite) plugged into the Sky-Watcher 130PM. This combination gives great wideangle views. Note: extra cut-outs in the Celestron case are 'filled' when new. I removed mine to put the Sky-Watcher eyepieces in. The most powerful eyepiece in the kit will push the Sky-Watcher 130PM beyond its capabilities under all but the clearest skies. The filters are perfectly good and the moon filter is almost mandatory as you wont believe how bright the moon is when your seeing it through even a moderately powerful telescope. The coloured filters are most useful for planets and there is a datasheet included which offers advice on which filter to use. The Eye-opener kit is a perfect first 'extra' for your telescope. Ultimately you may want to upgrade to even better quality eye-pieces but the Celestron set will serve you well and give you a good idea of where to spend your money in future. I, like many beginners, assumed the most powerful eyepiece would be what I would use. Wrong ! The eyepiece I use most is the 32mm, its low powered and has a wide field of view. The view using this eyepiece is such that when I buy a serious quality eyepiece I will be going to a higher quality low powered eyepiece. I hope you have found this brief review interesting and of use to you.